STILL UNDER GARANTEE !!! 90 hrs!!! This fabulous Frauscher is in a new condition. She is definitely the best option on the market with only 90 hours!! An award-winning, top-class gentlemen’s racer with an exclusive interior, this spacious and uncluttered yacht offers ultimate on-board comfort. Yet the key feature of the 1017 GT is the power, manoeuvrability and great style typical for Frauscher: simple design, clear lines and the use of top-quality materials both on and below deck. The 1017 GT guarantees speed and beautiful handling on both rough and flat seas. Both exterior and interior were honored at the Motor Boat Awards 2014: the 1017 GT won the “Performance Boat” category. For lovers of speed, this boat is equipped with more powerful engines. She is an exceptional yacht, “Made in Austria” and “Made by Frauscher”. 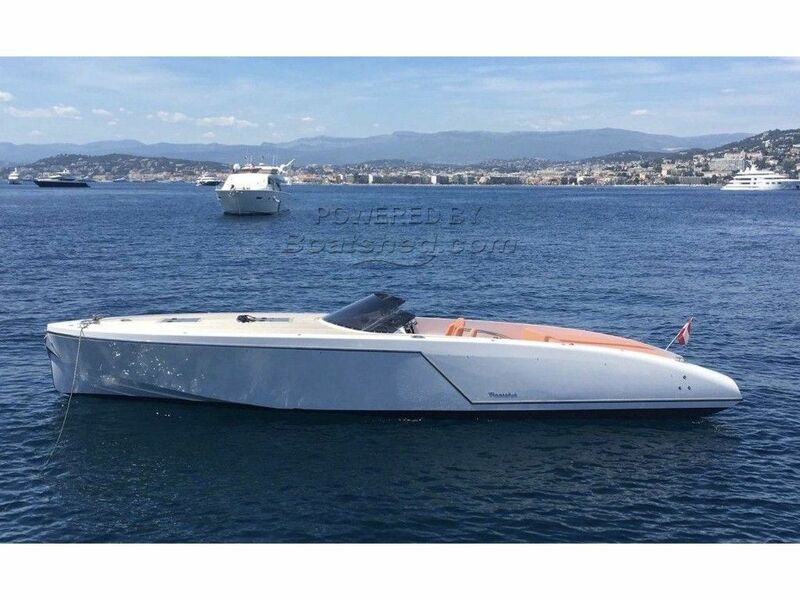 This FRAUSCHER 1017 GT GT has been personally photographed and viewed by Edward Kay & Antoine Perrin Daragon of Boatshed Riviera. Click here for contact details.